Break the ice, and get skating! 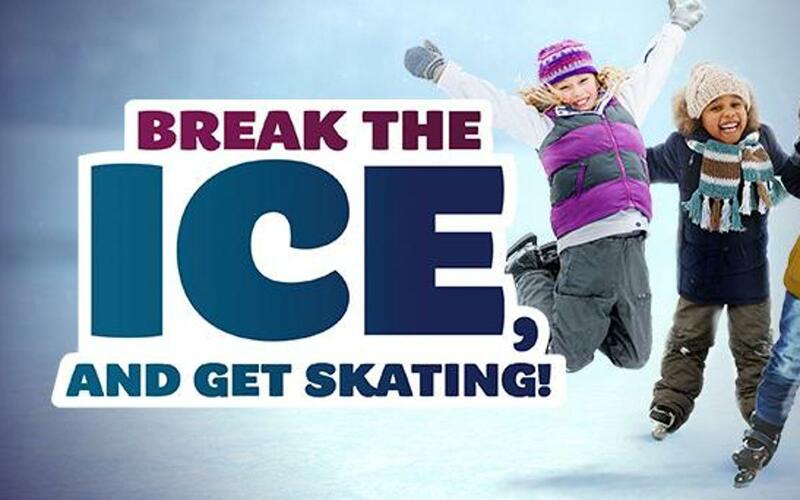 Have non-stop fun at Barça’s Ice Skating Rink! Check our timetable for the open sessions. If you are interested in learning how to skate or perfecting the art, then you can join the Ice Skating School. We are waiting for you! The skates should be the same size as the foot. The boots should be properly laced. The first thing you should do is get used to wearing skates by walking while supporting yourself gently on the barrier. When skating, bend your knees and keep your body straight. The arms should be slightly open and at the height of the hips. Try to start gradually by letting the skates slide one after the other. Gloves are compulsory for everyone and under 12s must wear a helmet (although everyone is advised to wear one). Don’t try to get up from a sitting position by pushing up with your hands as this is almost impossible. What you should do is get into a kneeling position, raise one knee and support the skate on the ice. Put both hands on the raised knee and use it as a support to gain enough strength to lift yourself up. Skating uses every muscle in the body, and gets your legs looking good, strengthens the cardiovascular system, and is a natural way of beating stress. It’s the leg and buttock muscles that get the best workout, but it’s also good for the arms and upper body. By skating, we develop both psycho-motor skills and concentration. In other words, it’s good for everything. The fundamental benefit is that anyone can skate for fun, as the level of effort depends entirely on the skater in accordance with their fitness and ability. You can see this at the FCB skating school, where there are people of all ages and levels, from four years old to adults. Free parking (match days parking is available on the premises until 4 hours before kickoff). If you enjoy excitement and want to have fun with your family, partner or friends, come and experience the top ice skating rink in Barcelona and practice one of the best winter sports. Ice skating is not only a fun activity it is also a healthy one. It is one of the most complete workouts there is as you use every part of your body. At FC Barcelona, you can use an Olympic sized rink where the amateur ice hockey and figure skating teams train. You will have an incredible experience here as an individual or in a group. We organize activities for groups and schools and we can hold an unforgettable birthday party for you. If you also want to learn, you can join our Ice Skating School where the best professionals will help you to get started or perfect your skating skills with lessons focused on learning the technique within a relaxed atmosphere. Have a look at our entrance fees and rental costs for such equipment as skates, gloves and helmets. And if you are an FC Barcelona member, you even get a special discount.